“London in a Day” is a custom tour designed for people looking for an orientation tour when they first arrive, or for a tour tailored just to the things they enjoy – and nothing else thank you. Your tour may include London’s great landmarks – Big Ben, Buckingham palace, you name it – along with the confidential London only locals know. Or your “London in a Day” tour you can focus on your specific interests and pet topics. This is our deluxe tour – personal, flexible, and fully customized. See top London attractions of your choice – Big Ben, Buckingham, Westminster etc. We meet you where you need to – at your hotel, train station or any other central London location you need etc. Booking can be arranged up to 48 hours in advance. This tour ends wherever you need – eg your hotel, a museum etc. “London in a Day” tour is for people who want to see more in less time, and for visitors looking for better than your standard cookie-cutter packaged tour. This full-day private tour is available every day. The meeting time and place are up to you. Available in English (Spanish and French are also available). You can also choose our half-day version for this tour. 10am: Your guide joins you outside your hotel and takes you straight to the government landmarks that have inspired the world – Parliament at Westminster, the Prime Minister’s at 10 Downing Street and of course Buckingham Palace. 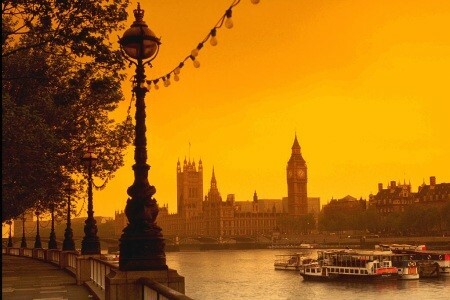 11am: sip drink from a rooftop overlooking the Thames, and enjoy Big Ben strike 11 from your observatory. 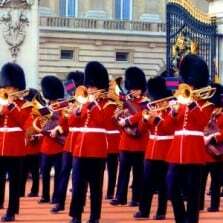 11.30am: observe the Changing of the Guards from a little-known, less crowded perspective. 12.15pm: World War II has come. Enter Churchill’s War Rooms and re-live these dramatic hours when “so much was owed by so many to so few”. 1pm: London street food on the go. 1:45pm: we catch the tube to Saint-Paul’s cathedral – a unique blend of Dickensian London, Medieval city, bankers and the City of the 21st century. 3:30pm: enjoy a 360° view of London from “wobbly”, Millenium Bridge and walk around Shakespeare’s Globe Theatre for inspiration. 4.45pm: part with your guide with ultimate photo opps at the foot of the London Eye.